Step up the action and the casting distance with the Magnum Trap. 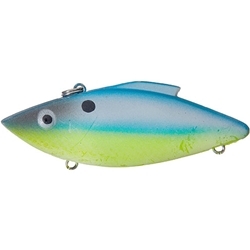 The Magnum Trap features a 3/4-ounce design with a wider wobble during retrieve. It can be launched a “mile,” but has minimal drag on the retrieve allowing you to feel every move and every strike.